I’m so excited to get to fill you all in on this because we have been having so much fun in class with this activity! 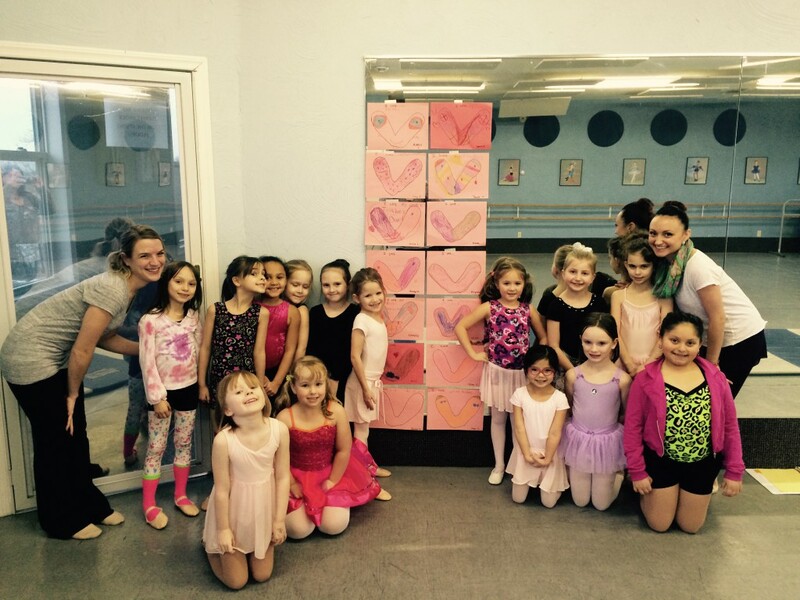 If your dancer participates in a Ballet/Tap class and is in 2nd grade or younger, we have been working for a few minutes on creating Valentine’s out of our feet in 1st position— the dancers stand in first position (heels together, toes apart) & the teachers trace their feet, which makes a heart shape. They then get to color their heart and write (if if they’re too little, we write for them) what they love the most about dance class! Once they’re finished, we’ve been hanging them on the mirror in class to display for the week & next week, they will get to take them home & share with you! The dancer’s are coming up with some really great little snippets of what they enjoy the most about class, such as “spinning around”, “playing freeze dance”, “wearing tights & a tutu”, “learning new things”, “dance recital!” & every time I read one that says “I love my dance teachers”, I get a little teared up! Some of our older dancers are even thinking of their favorite specific ballet or tap steps and patterns they like the most- impressive! Why is taking time to do this type of activity important? It gives us, the teachers, the chance to connect with your children on a more personal level & really get a feel for what they LOVE the most about dancing! They get to tap into their creativity with a different art medium & really think about & express what it is that they enjoy doing or being a part of when it comes to taking dance classes. They get to take turns talking about what they love & get that little extra one on one attention from their teacher. I know for me, personally, it has also been eye opening and a learning experience as to what is clicking with them, what they’re remembering, & what they enjoy doing the most that I can then expand upon as the year progresses. I’m looking forward to seeing what the rest of the classes LOVE the most about dancing for the rest of the week!